If you are looking to work on projects that are the organizational top priority for the company and are biased towards providing compelling end user experience to improve customer satisfaction, look no further! Come join the T-Mobile Tuesdays team! We are building new ways for consumers to engage with our un-carrier brand. We believe this helps earn trust, promotes advocacy, and deepens relationships with us by making things fun. 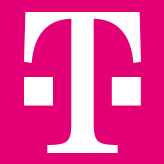 At T-Mobile a Product Manager is responsible for managing the entire life cycle for a specific product line, application or solution or areas of a product. Accountable for growth and profitability in assigned areas. Responsible for product innovation, product positioning, business case, product experience and go-to-market strategies. The Product Owner is the lead member from the product management organization in the Agile Sprint teams. He or she represents the product team in the tactical development/delivery process. The Product Owner ensures that the product functionality is created in the order and manner that represents the best approach from perspective of the business, product and technical teams. The ideal candidate will have a customer-first mindset and focus on what is possible vs. what is standard practice in the industry. A successful candidate for this role is a strong leader, with solid rational judgement, who can communicate clearly in person and in writing, with a consistent track record of delivery. Responsible for populating the overall roadmap for the product line or line of business, ensuring a continual stream of new and innovative ideas are consistently brought to market. Develops product plans (including target segment and value proposition) and business cases for assigned product or service. Responsible for identifying market size, preparation of business plans, and assists in pricing recommendations for the defined product and service portfolio. Working with a team of cross-functional resources, develop and own the go to market strategy to maximize market share, profitability, revenue retention and growth, and other strategic objectives. Owns the performance of the product in-market and is responsible for ensuring that the product achieves its financial objectives. Analyzes financial performance, recommends tactics to change the trajectory of the business. Collaborates with dedicated enterprise resources, e.g. Engineering, Supply Chain, CARE, EIT, and other product management teams to optimize the in-market performance of products to attain revenue and margin goals. Also responsible for monitoring products performance in-market (financial, operational, and customer satisfaction). Manages all life cycle migration strategies and the end of life decision for existing products and services. May be responsible for other Duties/Projects as assigned by business management as needed. Serve as focal point for any pre-sprint or in-sprint inquiries from the sprint team. Confirm that technical architecture and technical design aligns to the short-term and long-term product vision. Understand and contribute to the end-to-end customer experience. Define and create the user story structure themes, epics, etc. 4 7 years in one or more of the following categories: software/hardware, web, telecommunications, consumer electronics, or consumer packaged goods, with a focus on product management, product development or marketing. Strong understanding of voice and data services and products. Experience with Jira and Rally Agile tools. Understanding of enterprise customer needs and proven ability to deliver solutions oriented towards enterprise clients. Ability to assess and implement successful, focused, integrated product development plans. Knowledge of new product development processes, go to market strategies, and product lifecycle management. Strong verbal and written communications skills, with the ability to convey business and technical concepts to subject matter experts and non-technical professionals. Ability to present compelling business cases to stakeholders. Experience in defining and executing go-to-market strategies. Knowledge of financial drivers, experience in managing return on investment objectives. Ability to create forecasts, financial models, and budgets. Broad understanding of program management concepts and tools, including technical, innovation process, product management, financial and operations functions.